The nationwide carrier regards the mpg potential of its 2016 tractors as “a work in progress.” The fleet says that it enjoys “great relationships” with OEMs, which “know we want to be on the cutting edge and are willing to try different things” to boost fuel efficiency. 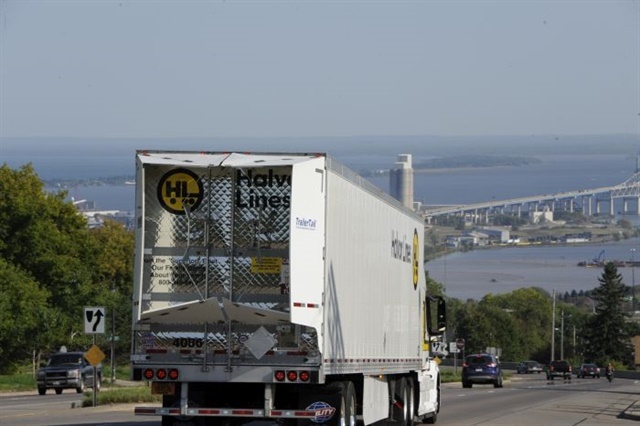 Photos: Halvor Lines Inc. 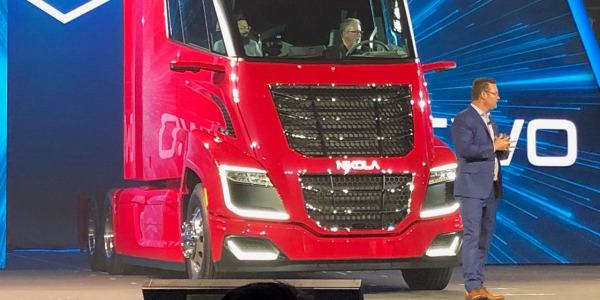 While nearly 20% of its fleet already averages over 8 mpg, Halvor Lines Inc. is hopeful its newest tractors — some 100 model-year 2016 units — will earn the distinction of becoming their first 10-mpg trucks. “Some of our new trucks are getting as high as 9.5 mpg over the road now,” says George Sowl, the fleet’s fuel manager. 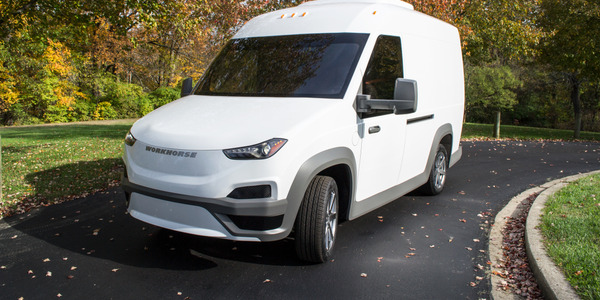 The fleet is paying a lot of attention to trailer aerodynamics, including adding side skirts and tail fairings, to boost fuel economy on top of what its power specs deliver. Superior, Wis.-based Halvor was founded in 1968 when five partners started hauling snowmobiles for Halvorson Equipment Co. About 10 years later, Bill Vinje bought out the other owners and his family continues to operate the truckload carrier. Today, the fleet transports commodities throughout the continental U.S. (including Alaska) and Canada and offers logistics services. 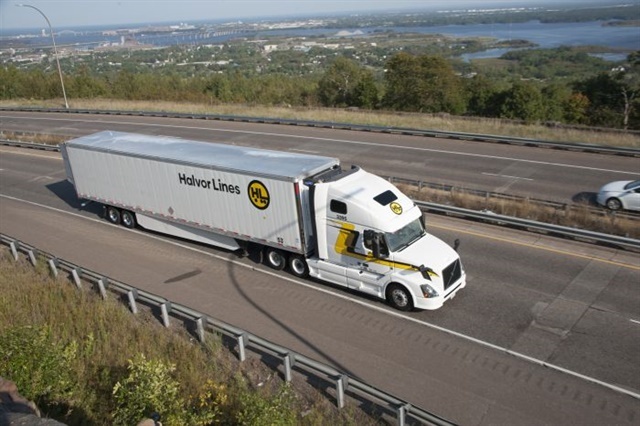 A certified EPA SafeWay Transport Partner, Halvor was named one of HDT’s Top 50 Green Fleets for 2015. Halvor runs some 400 6x2 tractors and over 900 trailers. The fleet is certainly “late model” given that the average truck age is between two and three years and trailers average just four years. 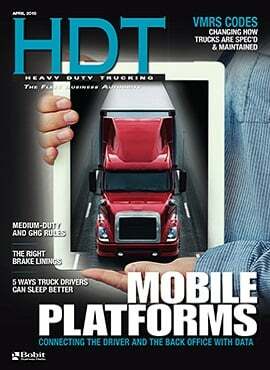 The trailers are a mix of 48-foot flatbeds and 53-foot dry vans, reefers, and “decked” vans. The latter are fuel-savers in that they’re easily converted by drivers to provide two levels for the protected transport of about twice as many all-terrain vehicles or similar equipment as standard vans. The tractor fleet consists mainly of 2014-model Kenworths and Volvos. 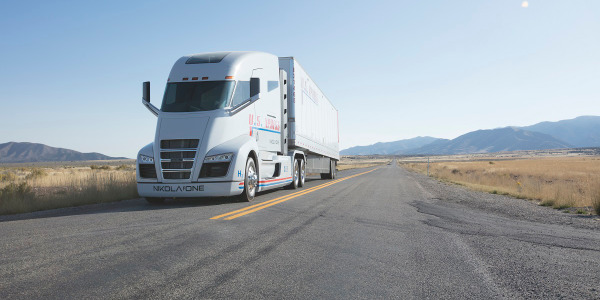 Halvor’s 2016 order includes those makes as well as Freightliners. “We have great relationships with the OEMs,” says Halvor CFO Carl Svendsen. 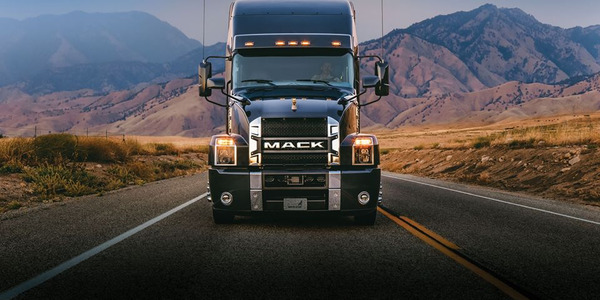 Trailers as well are spec’d with fuel economy in mind, including wide-base single tires with low rolling resistance and automatic tire-pressure monitoring/inflation systems. 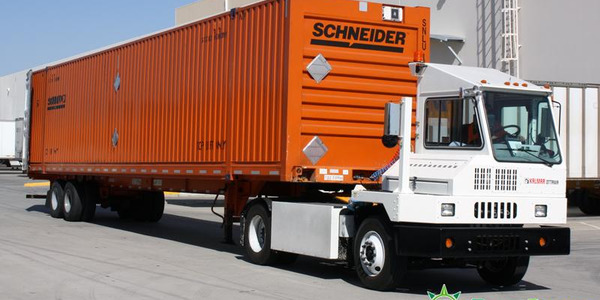 A tight tractor-trailer gap is ensured to cut down wind resistance. Aerodynamic devices in use on trailers include full fairings on flatbeds, Eco Flaps mudflaps, SmartWay-recommended side skirts, SmartTruck “undertray” drag reducers, and Stemco TrailerTail automatic rear airflow devices. “We’re finding the TrailerTail is quite effective and works great with side skirts,” Sowl says. 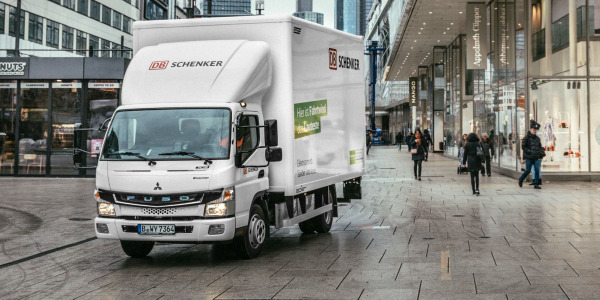 “The first of those devices paid for themselves in five months, based on the price of fuel at the time.” The fleet estimates TrailerTails alone boost fuel efficiency by over 5%. 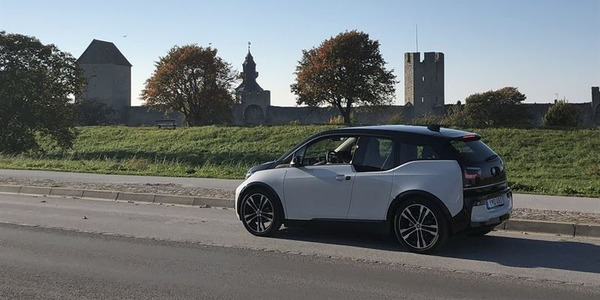 Halvor’s concerted push toward 10 mpg goes beyond the technological to embrace the considerable contribution of its drivers. 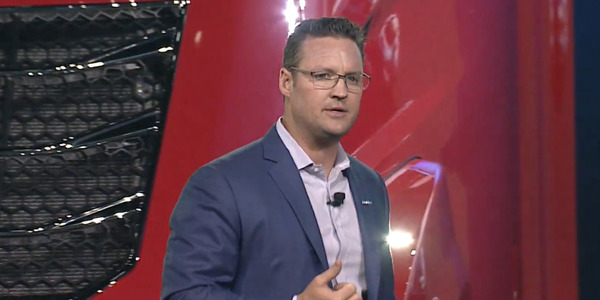 Svendsen says the fleet designed into its driver-incentive program a bonus that rewards those who achieve the best fuel economy. 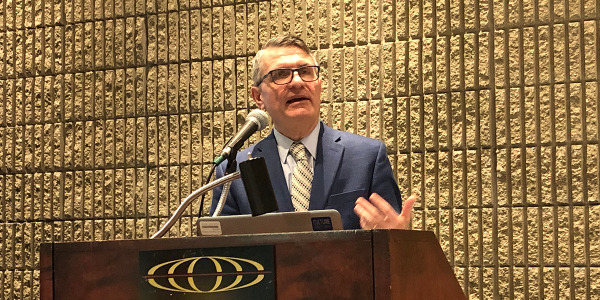 The mpg bonus has been in place for several years, but Halvor changed it up about nine months ago to simplify the program and “to better share the savings with drivers,” Svendsen explains. “We’re probably now saving one-and-a-half to two times what the program costs us.